Terry is the CEO, co-founder, and a Managing Director of Empire Valuation Consultants, and is an Accredited Senior Appraiser (ASA) of the American Society of Appraisers. Terry has over 40 years of accounting, corporate finance, and business valuation experience. He spent six years in public accounting where he handled corporate audits, tax planning, and other corporate financial services. Previous work experience included five years with Chase Lincoln First Bank, NA, holding positions as trust investment officer, manager of the Chase Lincoln Valuation Consultants Group, and member of the Chase Capital Markets Group. Terry also worked for more than four years as a certified public accountant (CPA) in audit and tax. 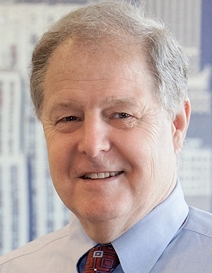 Terry has been involved in the valuation of a wide range of companies for many purposes, including estate and gift taxes, recapitalizations, reverse mergers, financial reporting, buy-sell agreements, bankruptcy, lending, equitable distributions, mergers and acquisitions, employee stock ownership plans (ESOPs), fairness opinions, insolvency opinions in debt restructuring, and debt securities. His experience also includes the valuation of various intangible assets, intellectual properties, covenants-not-to-compete, and franchise agreements. Terry has testified as an expert witness on valuation matters in various State Supreme Courts, Federal Courts, Bankruptcy Court, and before the New York State Public Service Commission. In addition, he has lectured to numerous business and professional groups on a broad range of valuation topics.